By Nageshwar Patnaik in Bhubaneswar, April 10, 2019: If no party or front emerges clear winner at the hustings, the country will once again witness Aya Ram, Gaya Ram (come and go men) politics to form a coalition government as India – the world’s biggest democracy, goes to polls on Thursday in the first phase of the 40-day process of choosing a new government at Delhi. Parties try to lure opponents to cross sides with promises of ministries or cash. They also indulge in what is by now known ‘resort politics’ – in which party leaders isolate their members in five-star resorts, often taking their phones away, to prevent them from being poached by the other side, is bound to return. Even after nearly 35 years, the spirit and letter of this piece of landmark legislation, which aims to discourage defections and violations of the party whip, has been violated time and again by politicians. And what is worse is in the run-up to the general election beginning on Thursday, Aya Ram, Gaya Ram politics is thriving like never before. as determined to be part of the governing party. He succeeded in his mission and ever since his name is associated with the practice of “defections” in Indian politics. 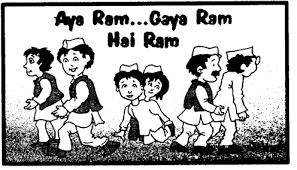 In India, we see likes of Gaya Lal in every party, who at the first hint hop for another for personal gains. Between 1967 and 1971, there were 142 defections in Parliament and 1,969 in state assemblies, according to PRS Legislative Research, a think tank. Between 1967 and 1983, there were approximately 2,700 defections at the state level, with 15 defectors becoming chief ministers. At least 50 leaders from various political parties have defected ahead of the 2019 Lok Sabha polls – including nine sitting MPs and 39 MLAs going by the media reports, And the list could go still be longer. The prominent defectors include Shatrughan Sinha, Tom Vadakkan, Savitri Bai Phule, Kirti Azad, Shukh Ram, who have turned defectors ahead of the 2019 Lok Sabha elections. 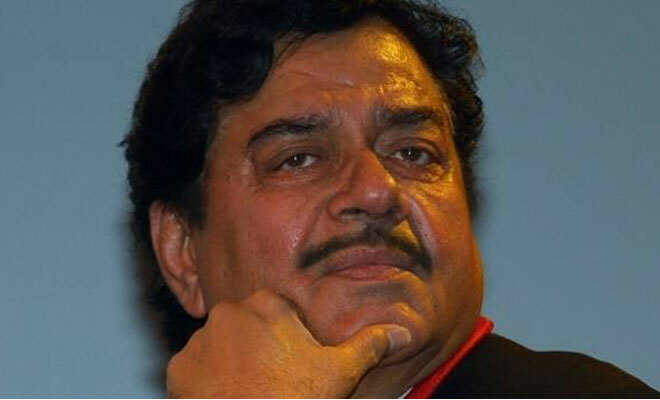 Shatrughan Sinha, the celebrated Hindi film actor and the sitting BJP MP from Patna Saheb is now seeking reelection as a Congressman. This makes him one of the most high-profile defectors in Indian politics. He was apparently denied ticket by BJP. Similarly, former AICC secretary and national spokesperson Tom Vadakkan – a close aide of Sonia Gandhi, switched over to BJP saying that he worked for the Congress for two decades, but the party had now resorted to “use and throw.” Savitri Bai Phule – a prominent Dalit leader and BJP MP from Uttar Pradesh’s Bahraich defected to Congress after raising her voice against the saffron camp for more than a year now. Cricketer-turned-politician, Kirti Azad a sitting BJP MP from Bihar’s Dharbhanga, joined the Congress in February, criticizing his former party for dishing out plethora of false promises and lack of internal democracy. Once influential Congress leader and former chief minister, Sukh Ram had defect to the BJP and now he is back in the Congress. The list goes endless and the story of defections in India is quite attention-grabbing as almost all the parties barring left parties have orchestrated defections in electoral politics. Switching parties has become like trying out another shop. It’s a pity a national parties like the Congress and BJP have stooped to play this game. The political defections have reached alarming proportions making a mockery of democracy and a public debate around it is conspicuous by its absence. Defections undermine the very purpose of parliamentary democracy, but poaching subverts it. In the last couple of years, the BJP has almost destroyed the foundations of parliamentary democracy through poaching. It has formed governments in Goa and the North-east by enticing smaller parties and splinter groups. The ‘merger politics’ is another name for defection but comes with a legal protection under the 91st amendment of the Anti-Defection Law. There are advantages and disadvantages with the Anti-Defection law. It provides stability to the government by preventing shifts of party allegiance, ensures that candidates elected with party support and on the basis of party manifestos remain loyal to the party policies. On the other hand, by preventing parliamentarians from changing parties, it reduces the accountability of the government to Parliament and the people. It interferes with the member’s freedom of speech and expression by curbing dissent against party policies, experts opine.